MOSCOW, October 8. /TASS/. The equipment confiscated from Russian specialists expelled from the Netherlands was intended to test the cybersecurity of diplomatic missions, the Russian Foreign Ministry said on Monday. "There was nothing secret about the group of Russian technical experts’ trip. It was a completely open and routine business trip. 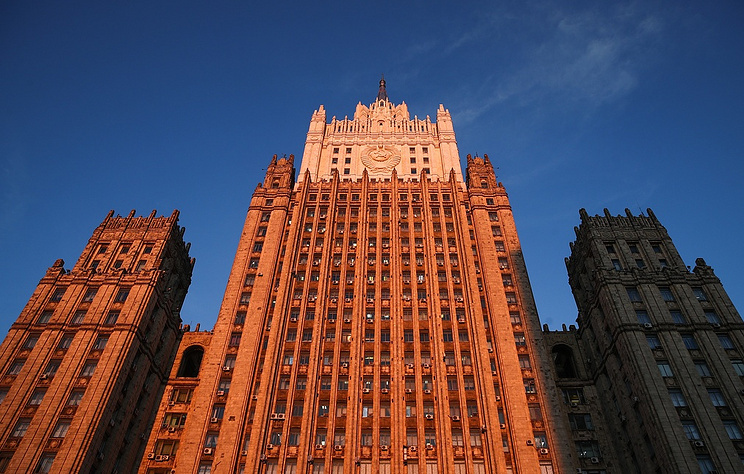 Different government organizations and agencies, including the Russian Ministry of Defense, manage the day-to-day activities of Russian diplomatic missions abroad," the Russian Foreign Ministry informed. "The equipment seized from Russian representatives was intended to test the information systems of embassies in the interests of analyzing the security of computer networks due to more frequent attempts of hacking Russian state institutions," they added. The Russian ministry informed that members of the Russian group of experts had diplomatic passports in accordance with the international practice. "As it is common in international practice, the members of the group had diplomatic passports. An employee of the embassy (namely, an ambassador aide) met the Russian representatives at the airport and took them to the diplomatic mission grounds after accommodating them at a hotel," they stressed. Netherlands’ Defense Minister Ank Bijleveld claimed at a news conference on October 4 that Dutch military intelligence and security services had allegedly foiled an attack by Russian hackers against the global chemical weapons watchdog, the OPCW. She claimed that four Russians - Alexey Morenets, Yevgeny Serebryakov, Oleg Sotnikov and Alexey Minin - were involved in the incident. Bijleveld claimed that all four worked for the Main Directorate (formerly the Main Intelligence Directorate, the GRU) of Russia’s General Staff. According to her version of the events, the equipment confiscated from them was evidence they had tried to get access to information about the Malaysian MH17 flight disaster in Ukraine. The Dutch Defense Ministry claims that the cyber attack was carried out on April 13. All four Russian suspects were expelled on the same day.